The house was built in the late 18th century and described as a “regular three-storey late 18th century stuccoed range of five bays, one room deep, overlooking a pretty valley east of the church. Doorway of fluted pilasters and fanlight; corner quoins. Rear staircase projection. Earlier west range of two storeys above a basement”. It is likely that the first occupant when it was known as the Parsonage, was Rev Dr John Adney (vicar 1760-1815 and born 1731). The house was largely rebuilt in 1832 by the Rev Sydenham Pidsley (vicar 1832-57), whose father Rev. Simon Pidsley was also vicar 1815-1822. The census of 1841 showed that, when aged 30, The Rev Pidsley lived there with his wife and 5 children (between the ages of 1 and 7) plus a further 5 servants. 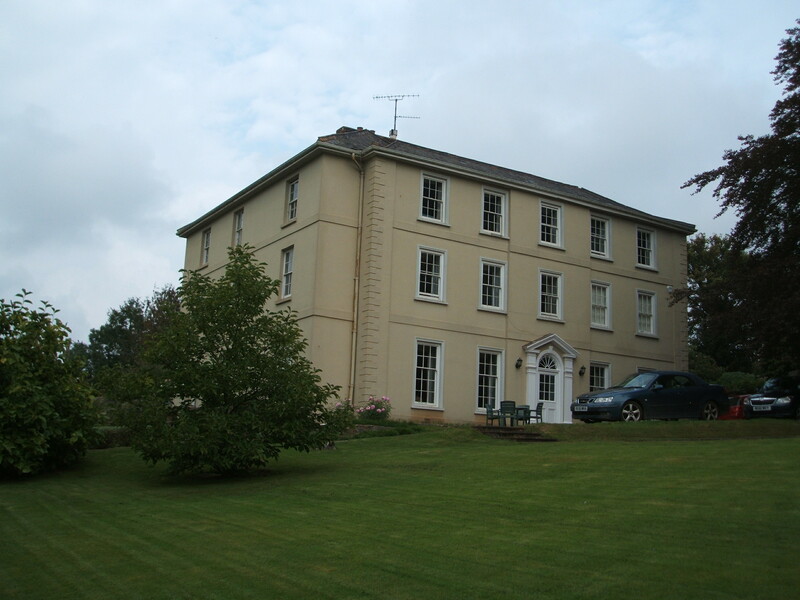 In 1850 the house was still occupied by the Rev Sydenham Pidsley, BA, who was lord of the Rectorial Manor worth £150 per annum, and the patron and Incumbent of the Rectory valued in 1831 at £601. To put this amount in to perspective the average farm labourers wage was around £35 p.a. By 1861 the census shows that the Rev. Charles Landfarkine was the occupant together with his sister and an elderly boarder, plus 4 servants including a tailor maid, cook, house maid and page. In 1871 the Rev Charles Beer was living there with his wife and 2 children, together with his mother and a staying visitor, plus 4 servants including a nurse maid. Previously he had been a missionary in India. He retired to live at Sheldon in Devon. His place was taken by Henry Mooraart, born in Ceylon (now Sri Lanka) who had worked for the civil service there before becoming a priest. He moved to Uplowman from Suffolk as his wife Mary had been born in Lifton, Devon. The 1891 census shows that they continued the pattern of having five servants including a ladies maid, cook, parlour maid, house maid and under gardener. He remained there for the 1911 census, now aged 82, although his wife had recently died. Between 1912 and 1922 the occupant was the rector Richard Germon, who had previously been the vicar at Withleigh for 26 years. The village annual fete was held at the Rectory during the 1920s and 30s. The Rector Arthur Law (1936-40) lived there but it shows that in the 1939 electoral roll there was just himself and his daughter Ivy registered there. If there were domestic servants they probably lived locally. The house remained a Rectory until World War 2 when the Americans were billeted there, whereas other evacuees from London went to houses in the village. It was owned and lived in by Major James AM Lang OBE and his wife until sold in 1952. At that point it was known as Uplowman Grange. Major Lang later died in 1956, aged 71. 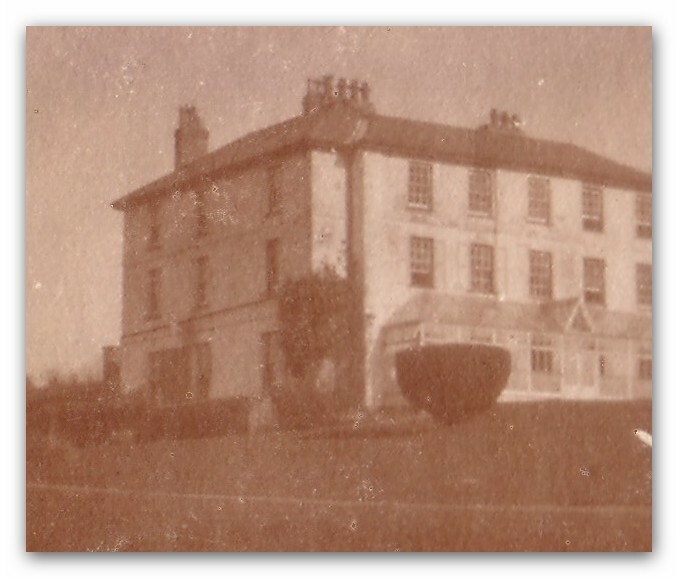 It was only after the War that it changed its name to Uplowman House when it was purchased by the Rhodes family in 1952 who were cousins of HRH The Queen (see Royal connections) who lived there until 1973. In 1955 they built a new open-air swimming pool which is fed by a spring high up in the Lowman Valley and is surrounded by banks of pink and white roses. Look at the Royal Connections page to link to the views of Hon Margaret Rhodes on life living in Uplowman. In 1973 Tom Penny and his wife acquired the house and 45 acres at auction for £100,000 . Tom Penny is the son of Raymond Penny who was instrumental in starting Tiverton Golf Club in 1932. The house was sold to new owners in 2015. A picture of the Rectory in 1921 shows the veranda along the side which has since been removed.